Come root for the Baltimore Ravens as they take on their AFC rivals in the NFL. Watch all of their home games at M&T Bank Stadium, located in downtown Baltimore adjacent to Oriole Park at Camden Yards. Record-breaking crowds come out to Baltimore for each game to support the team. 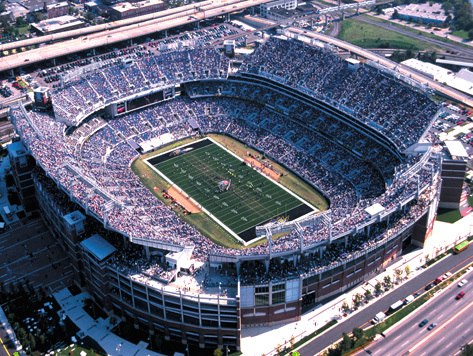 When M&T Bank Stadium is not entertaining Ravens fans, the venue is used for entertainment and sporting events such as college and high school football, soccer, lacrosse, and concerts. Baltimore Ravens parking is available at any of the parking locations listed here. Book Ravens parking near M&T Bank Stadium online, ahead of time and guarantee your spot.